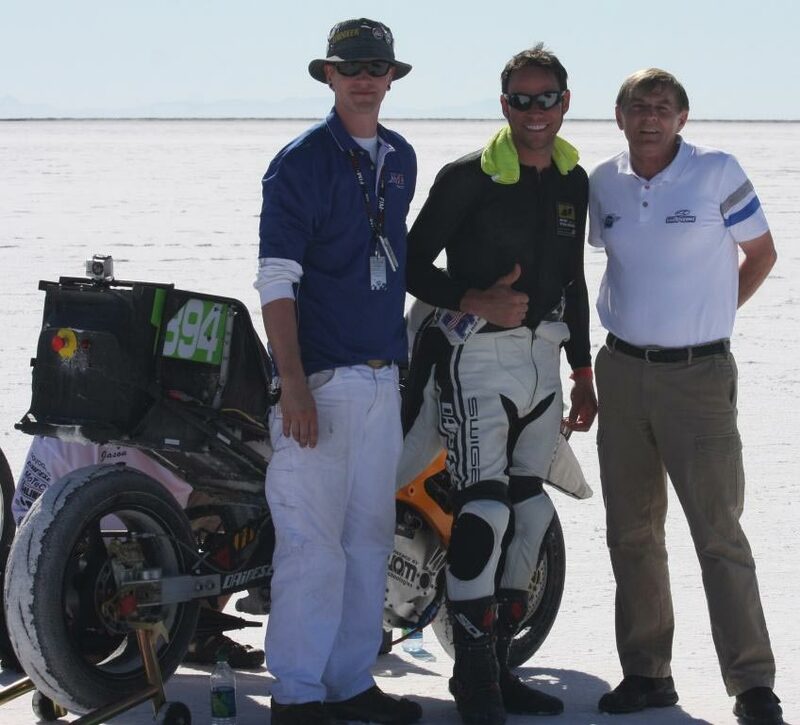 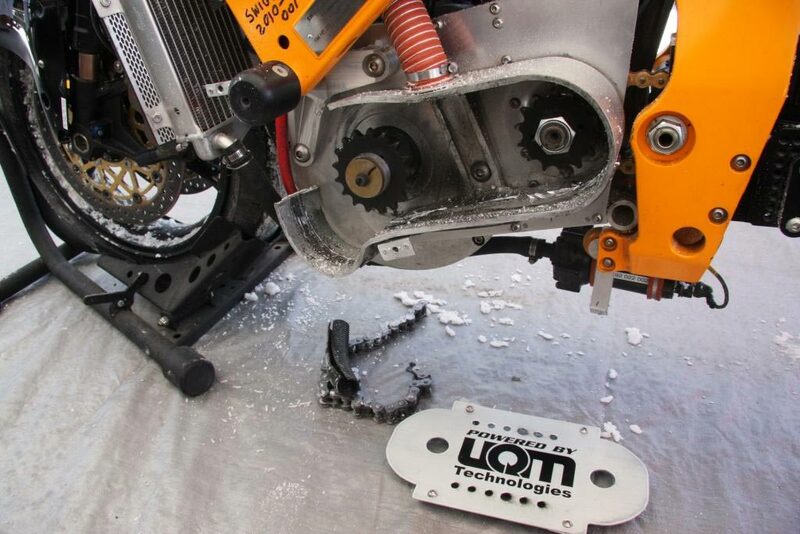 We got a quick message from Chip Yates this afternoon, saying that the SWIGZ Racing team just completed setting four FIM/AMA land speed records at the BUB Speed Trials currently being held at the Bonneville salt flats. 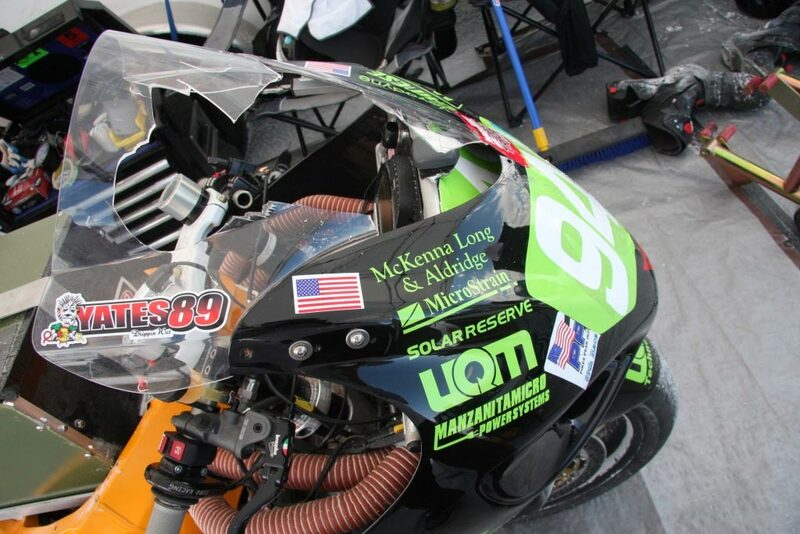 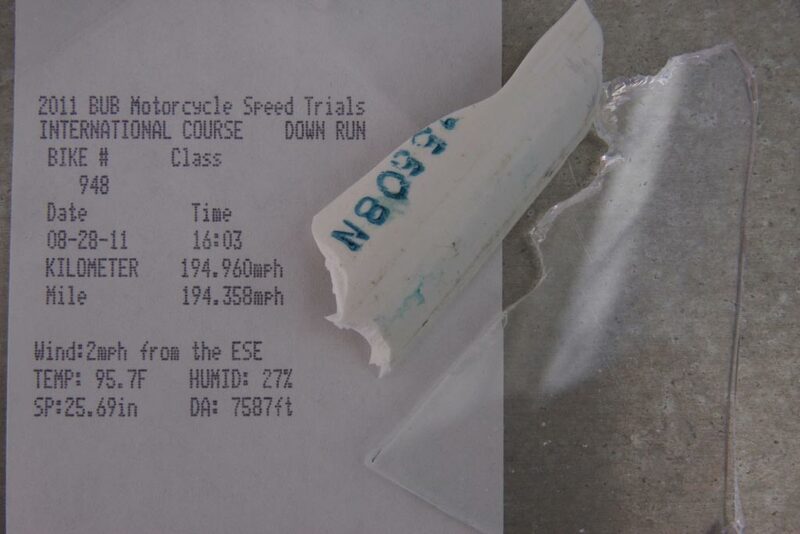 Getting off to a rocky start after crashing through a mile-marker pylon, Yates went on to salvage the outing, setting his first FIM/AMA record on Tuesday with a 196.421 mph LSR in the “over 300kg class” (the team also hit a 200.7 mph speed trap velocity at BUB). 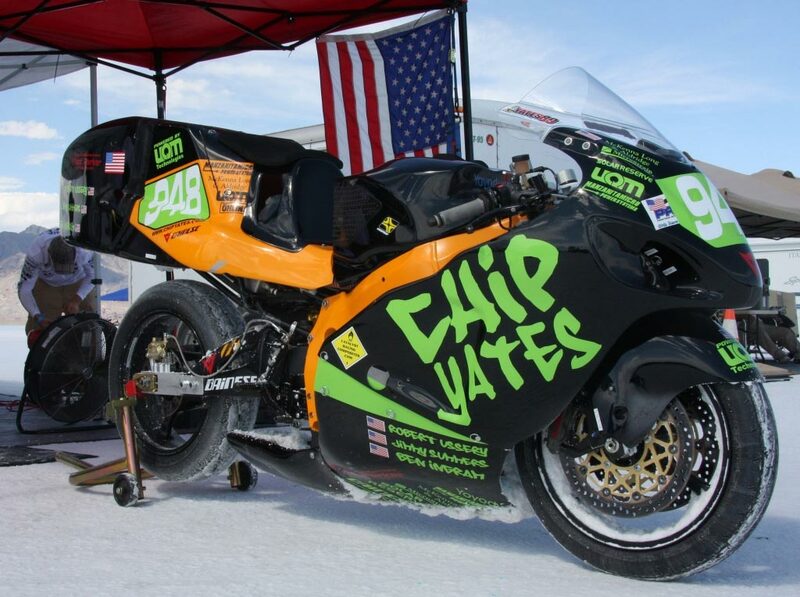 Yates followed-up that LSR over the next two days, with a second record: 181.439 mph in the “over 300kg naked” fairing-less class, a third record: 173.574 mph in the “150-300kg” class, and lastly a fourth FIM/AMA record: 187.143 mph in the “150-300kg naked” class. 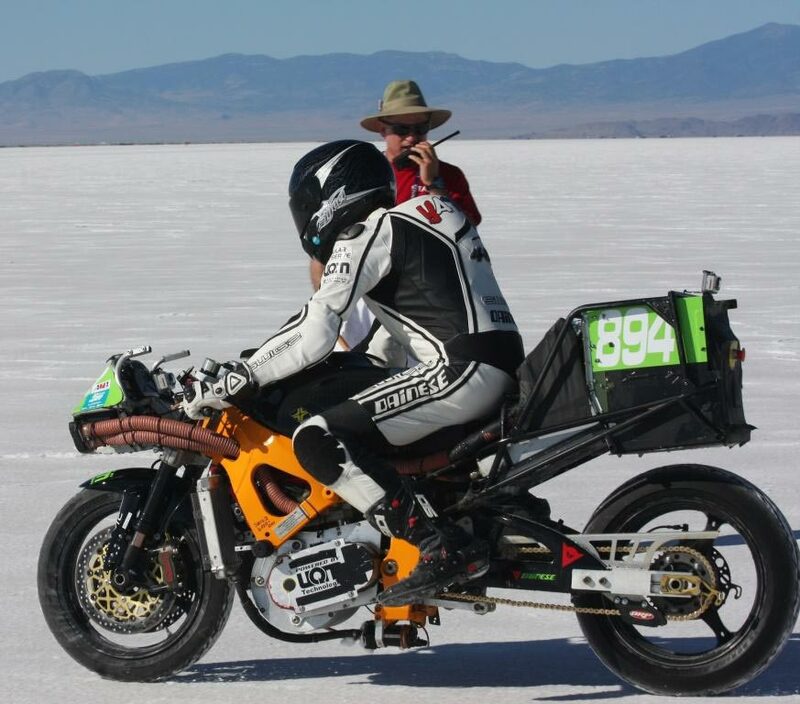 Rumors of a fifth record for being the certified fastest pizza delivery bike have not been confirmed, and like these other four FIM/AMA records, will have to be certified by the respective regulatory bodies before becoming truly official. 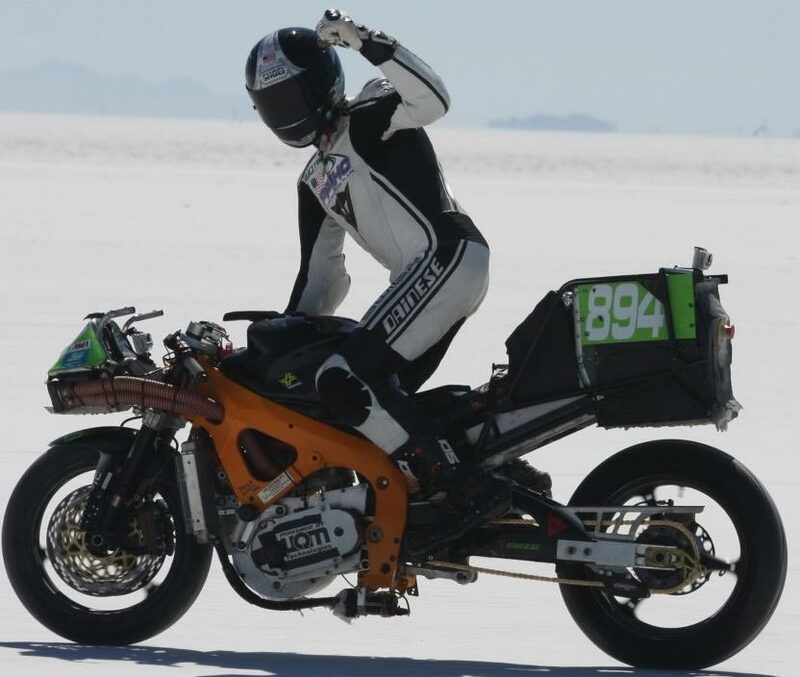 Achieving all this on his first time on the Bonneville salt flats, Yates was ecstatic about everything his team has accomplished the past few years, and gave some praise to the team’s rivals in speed: Lightning Motorcycles. 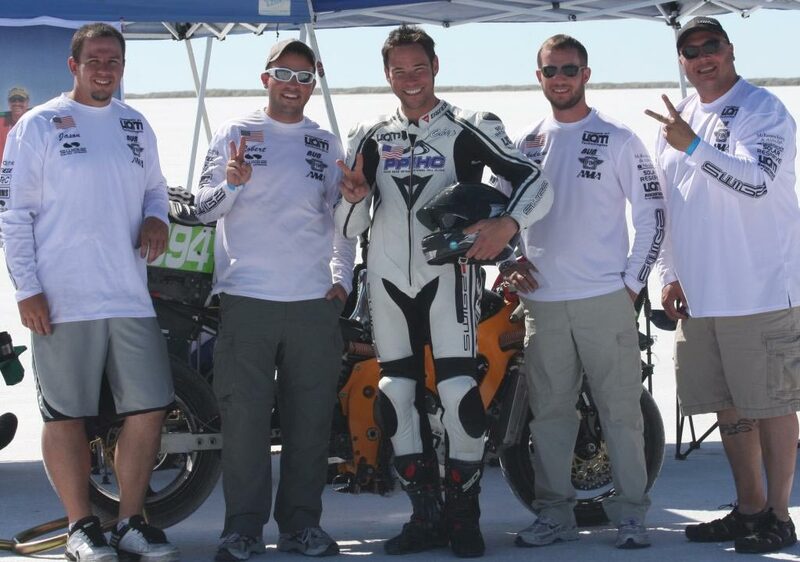 “I want to acknowledge Lightning’s SCTA record. 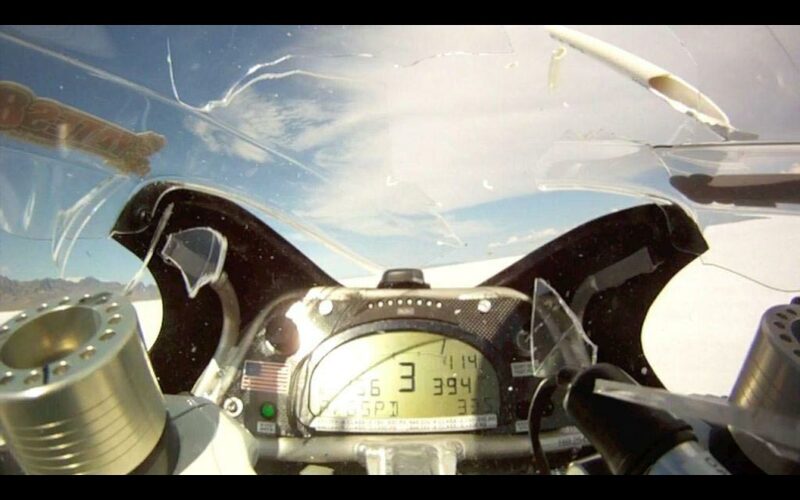 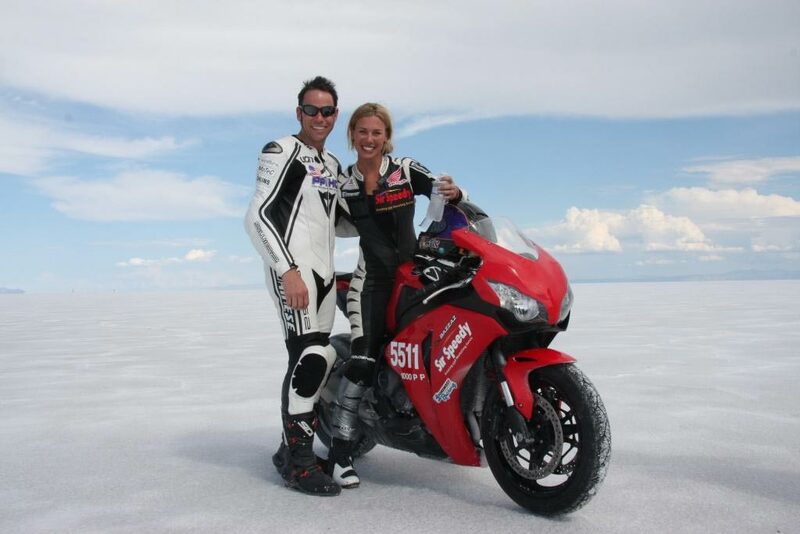 Achieving the speeds they did is incredible, and we could not top them!” wrote Yates to us via text. 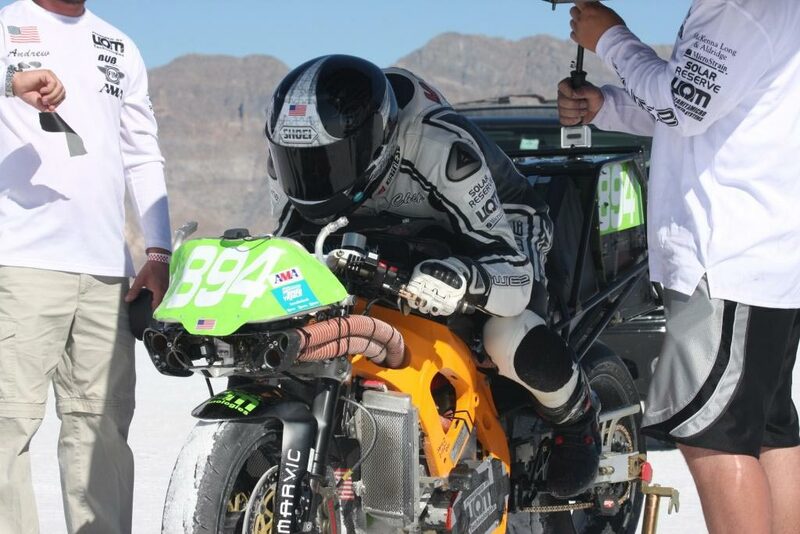 Now done with Bonneville, Yates has officially announced his retirement from electric motorcycle racing. 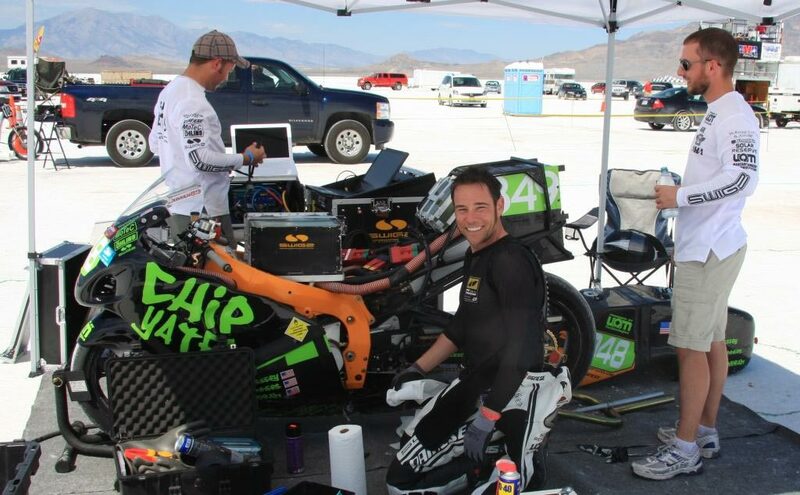 Asked what he was going to do first with his newly-found retiree status, Yates replied “I just savored a cinnamon pop tart that I couldn’t eat on my racing diet…man did that taste good!” Not quite Disneyland, but then again, Yates hasn’t been one to follow the status quo.